We are conscious young families striving to make a difference in the world, by educating our children about a 'new' way of life, living in harmony with the land, giving a hand up to our friends and neighbors, and respecting our beautiful Mother Earth! 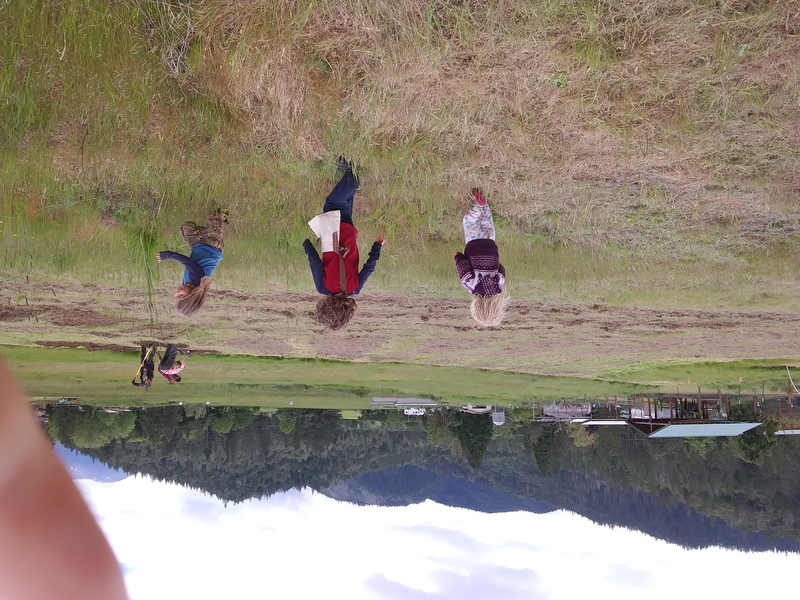 We are looking at purchasing land to build a sustainable, off-the-grid community and start a Healing and Educational Center for our own children and other youth! We are committed to teaching the world's children, about sustainable living, organic gardening and agriculture, living lightly with the land, natural building, compassionate care of wildlife, conservation of natural resources, edible wild plants, natural medicine, yoga and personal wellness, nutrition, spirituality, interpersonal relationships, effective communication, and so much more- concerning real-world skills to prepare them for their futures. Our Dream is to make the changes necessary for a positive difference in the future of our World! Right now we are based near Sheridan, Oregon, on 5 acres with agricultural zoning and wonderful well water. We are especially interested in growing Hemp here but there is lots of room for veggies too :) This is a new location for us; so we are still in the dreaming and planning process for this opportunity! Our initial plans for the community land (when purchased) include a handful of natural dwellings, we are looking at Yurts, Cobb and Straw-Bale houses to start with, with the possibility of a larger communal space that includes a library, dining hall, temple/yoga space, and kitchen, where we would prepare nutritious meals that are 100% organic and grown on-site! Some of the other goals we have for the beginning of this project are rainwater collection, recycling gray water via a filtering garden system, solar heating and cooling, composting toilets, solar bathing facilities, and utilizing wind and/or water generated energies. We are beginning this year to grow a large enough organic, GMO-Free garden to generate most if not all of the food for the families on-site, as well as traveling to local farmer's markets and the possibility of our own CSA. This is a dream we have all been compiling for years, to exist outside the confines of traditional society and 'get back' to a more harmonious way of life. Help us prove the possibility of an existence without mindless consumerism, and of a symbiotic relationship with our wonderful planet. Because, right now, our Earth needs it! Thank you so much for reading about us! For more information, contact us at tulsi [dot] flower859 [at] gmail [dot] com; we look forward to hearing from you!